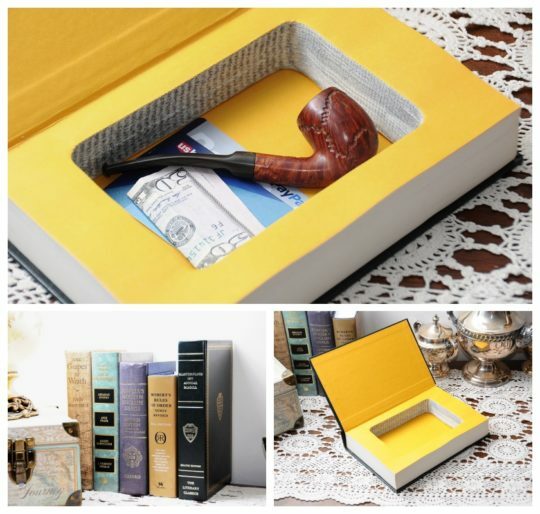 Are you looking for a unique gift for the book-loving dad? Maybe it’s time to gift something that is not a book. Books always make fantastic gifts. Gifting them every time – for Father’s Day, Christmas, your dad’s birthday or name day – might be, however, too much. If not books then what? Have you considered gifts and accessories inspired by books? As you’ll see, there are more ideas at hand than you could think of. 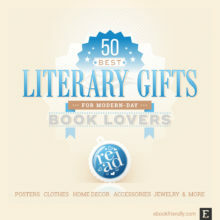 Book holders, reading glasses, literary accessories, book-scented candles, clever tech gadgets – it’s just the beginning. Opposite to gifts for mom, this list is short and simple. Scroll down the page, and you’ll get the ideas in less than a minute! 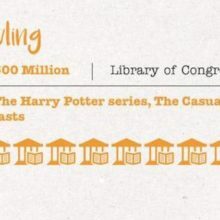 And below the list, you’ll find a handy infographic with the best book-inspired gifts for dad. Feel free to share it with your friends and followers! PagePal page holder. 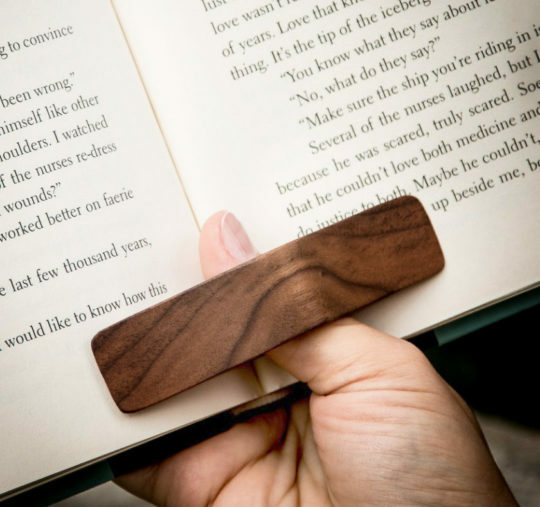 Reading real books made easy – this page holder will let your dad keep the pages in a book held wide open with one hand. ⇢ Amazon – $20.99. ExLibris book stamp. 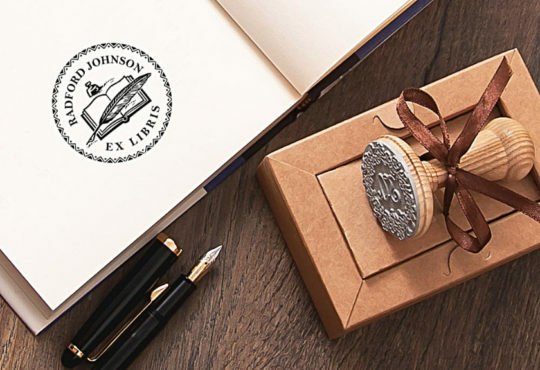 This pen-and-ink stamp comes in a gift box, and, obviously, can be personalized with your dad’s name. ⇢ Etsy – $37. Literary classic book safe. Something your dad can place on a bookshelf. It looks like a book, but it’s not. ⇢ Amazon – $30. 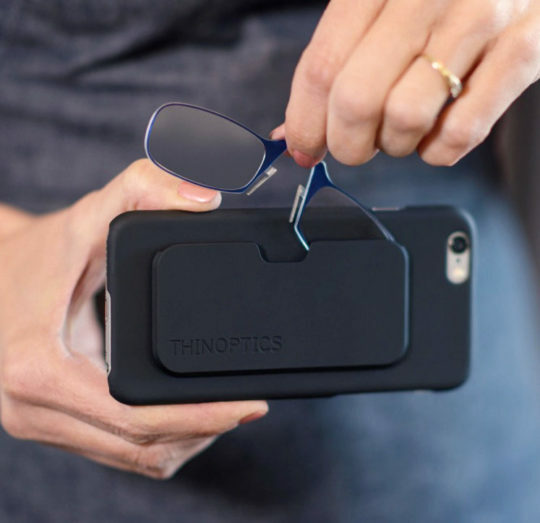 ThinOptics reading glasses plus iPhone 7 case. If your father is looking for the reading glasses every time he starts reading a book or an SMS message from you. ⇢ Amazon – $29.99. 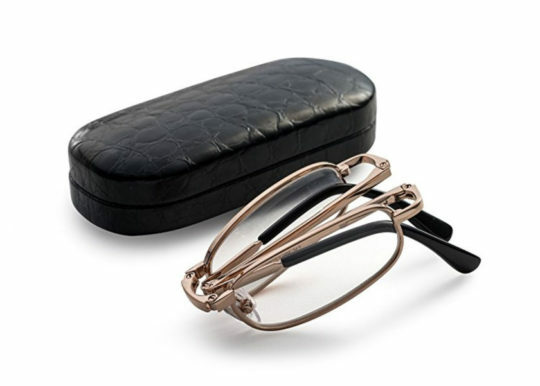 Specs foldable reading glasses. If you believe the above-mentioned idea is too much of the gimmick, make it more traditional but preserve the ability to fold the glasses. ⇢ Amazon – $6.99. 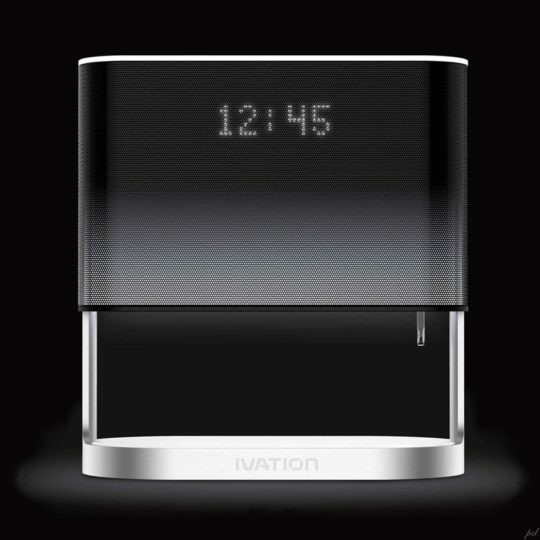 Ivation 3-in-1 bedside lamp. Your dad will want it on a bedside table. This little gadget combines the reading lamp with a USB charger and an alarm clock. Oh, you like it, too? ⇢ Amazon – $39.99. 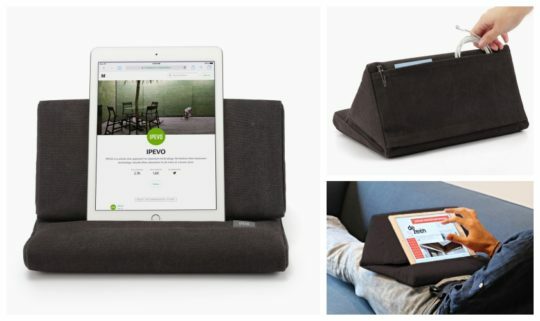 Ipevo iPad pillow stand. Will let your dad use the iPad (or the Kindle, or any other device, not mentioning the print book) much more comfortably than ever before. ⇢ Amazon – $21.99. Vintage book cover for iPad. So, the only thing your dad may miss is the touch and feel of the real book? 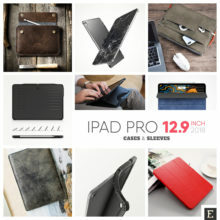 It can be fixed, just take a look at this lightweight iPad case. ⇢ Amazon – $18.99. Marston Bindery iPad or Kindle case. A case that looks like a book is not enough. It doesn’t look like that book? 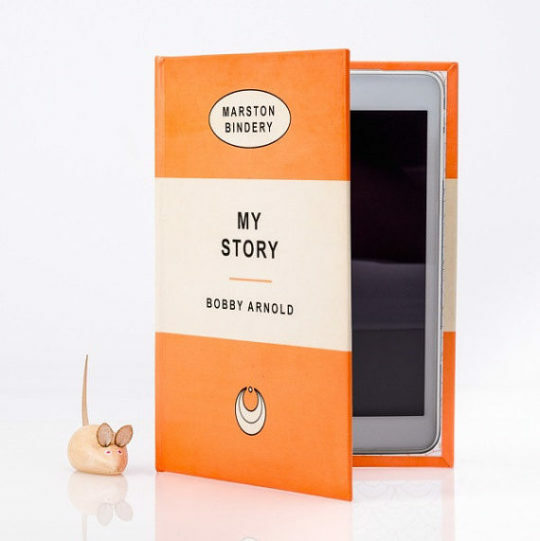 These cases resemble Penguin classic, but the best thing is you can give your name and your title on it! ⇢ Etsy – $40.99. 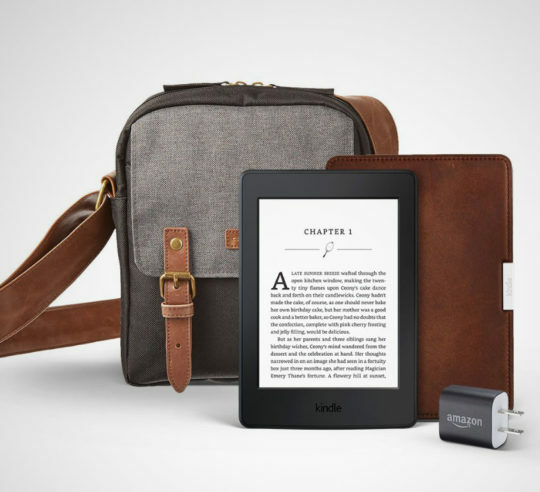 Kindle Paperwhite Travel Bundle. A Kindle might not be a great gift any longer (you gifted it to dad two years ago), but a Kindle bundle is always worth considering. The new bundle has a free travel bag, worth $70. ⇢ Amazon – $199. 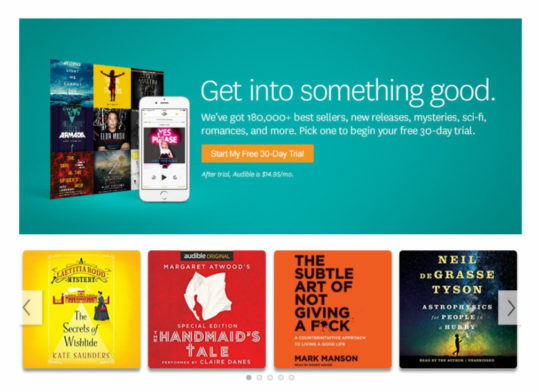 Kindle Unlimited gift subscription. Your dad has a Kindle, but the real problem is how to pack it with the books? 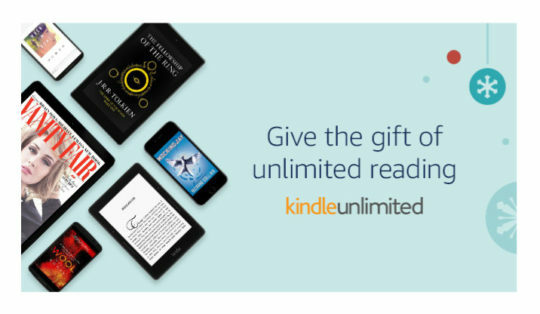 Kindle Unlimited subscription is an option worth considering, especially that you can easily gift it in one of three membership plans. ⇢ Amazon – from $59.94. 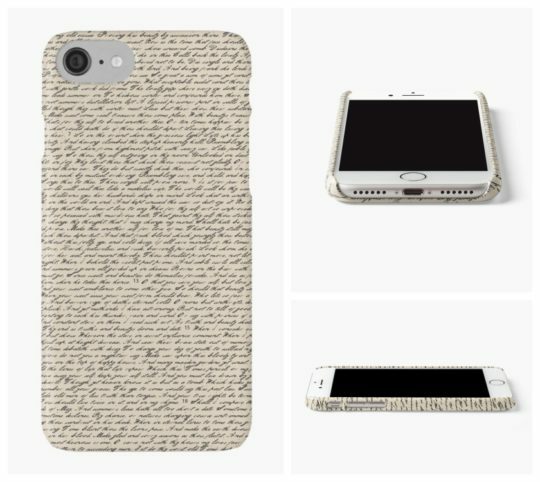 Literary iPhone case. 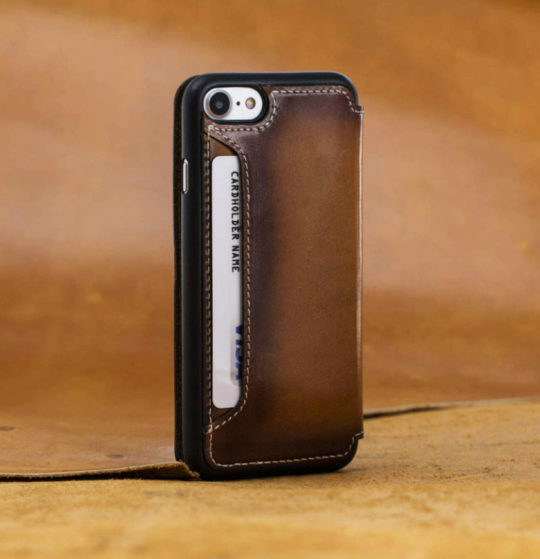 Dress your dad’s iPhone with style. This one features a handwritten text of one of William Shakespeare’s sonnets. ⇢ Redbubble – $26. Koala Design iPhone 7 book cover. Want something even more stylish and functional? 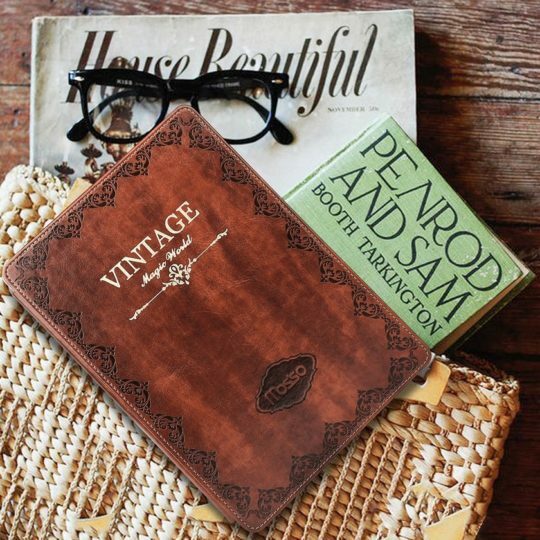 This hand-painted leather case opens like a book and features a pocket for essentials. ⇢ Etsy – $65. Bookish USB drive. 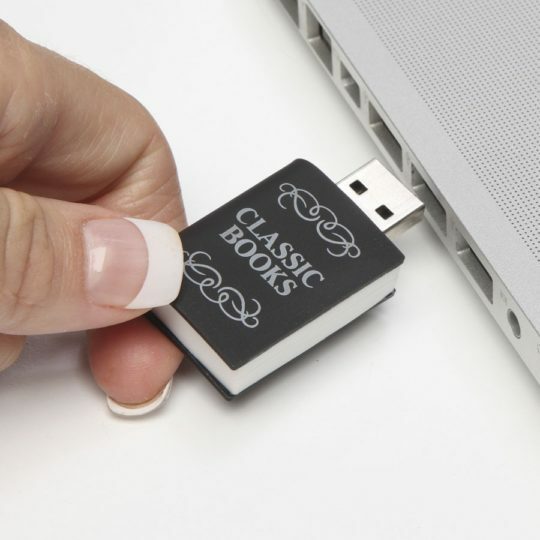 This USB drive looks like a tiny book and holds 3,000 public domain English-language classic books. ⇢ Amazon – $13.99. 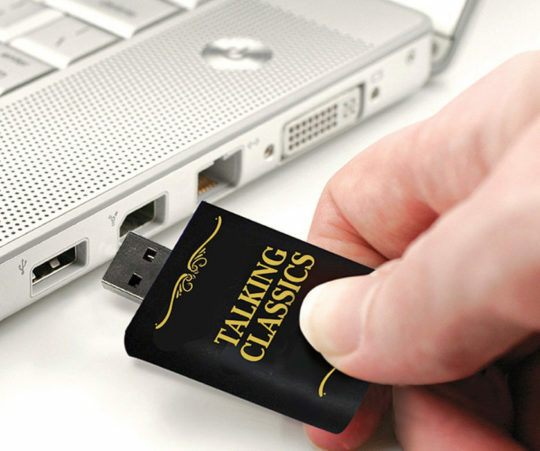 USB drive with 100 audiobooks. 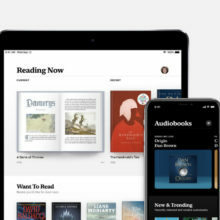 Isn’t it time to try audiobooks? There is pen drive that comes preloaded with 100 literary classics. Maybe it’s a good starting point. ⇢ Amazon – $19.95. Audible subscription. You dad has a smartphone or a tablet? Consider giving him an Audible subscription. A monthly fee $14.95. If you grab a yearly plan, you get two months free. ⇢ Amazon – $149.50/year. Amazon Kindle Paperwhite 4. It’s time to fall in love with the Kindle again. The 4th-generation Paperwhite has everything book lovers were waiting for. 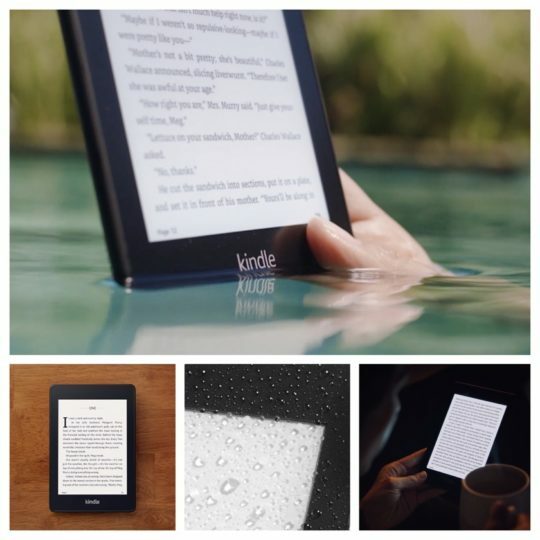 It’s waterproof, can play Audible audiobooks, has bigger storage and sleek new design. ⇢ Amazon – $129.99. Amazon Echo. Your dad has everything, and “everything” includes Audible (you gave it a year ago). 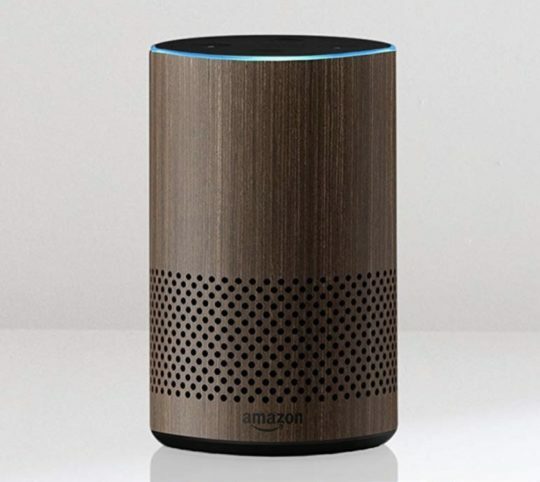 Think about the 2nd-generation Amazon Echo. This smart tube can play Audible audiobooks or read Kindle ebooks via text-to-speech. It comes in five elegant colors. All your dad will need to do is saying “Alexa, play the audiobook.” ⇢ Amazon – $119.99. 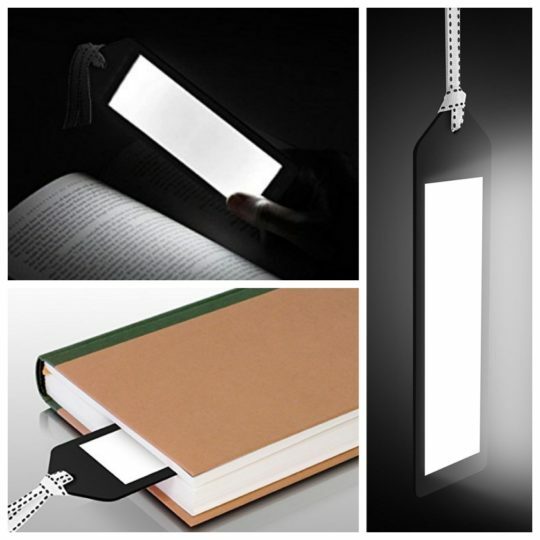 Aluratek LED bookmark. It’s not a bookmark and reading lamp in one. It’s a bookmark that shines. ⇢ Amazon – $19.99. 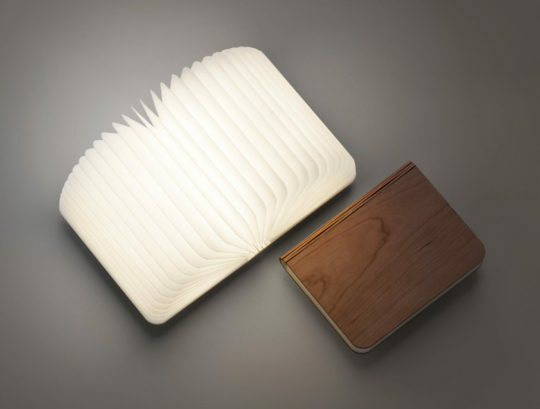 Leditop folding book lamp. If you want a reading light to be a part of the literary interior, this is one of the most clever ideas. And when you don’t use it, you can put it back on a bookshelf. ⇢ Amazon – $39. 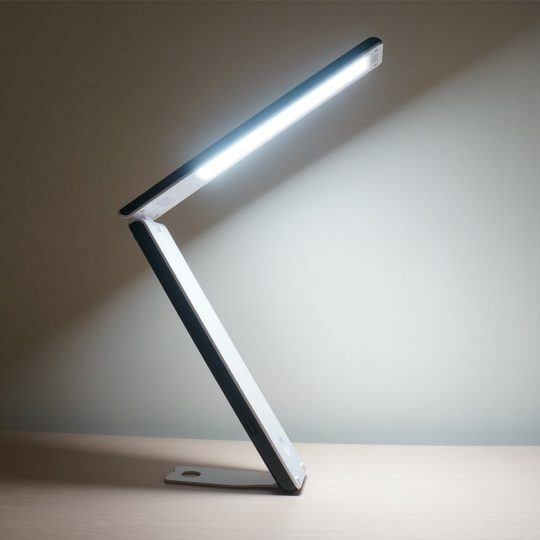 Aotom LED portable reading lamp. Are you looking for something more practical? Something your dad would use during his numerous trips? This portable lamp takes little space and has a USB port to charge the phone. ⇢ Amazon – $29.99. I Kant Even coffee mug. Oh, another coffee mug? 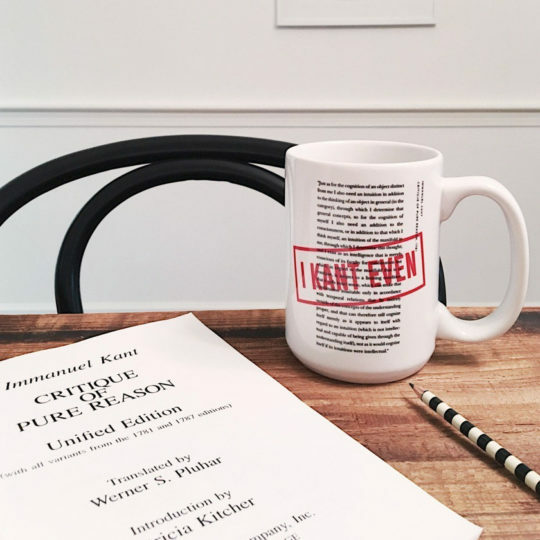 Yes, it’s a coffee mug, but “we’re willing to plod through dense, convoluted sentences to unpack your ideas, but the buck stops at this 174-word monster from Critique of Pure Reason.” ⇢ Amazon – $18. Sherlock Holmes breakfast tea. A book tastes even better with a favorite beverage. 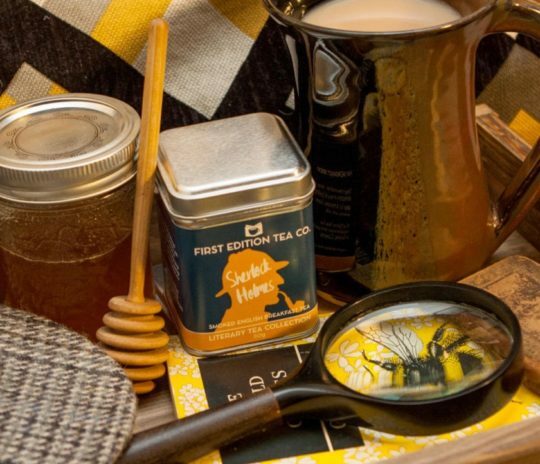 A tea blend inspired by Sherlock Holmes offers plenty of pipe smoke, a hint of bergamot, and a touch of honey. Is it something your dad would be delighted to get? ⇢ Etsy – $12. Edgar Allan Poe wine holder. What’s your dad’s favorite evening drink? 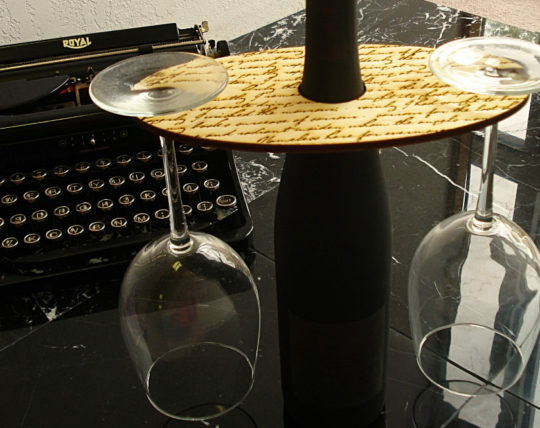 If it’s wine, give this clever wine holder a try. You put it on the neck of the bottle, and it can hold two wine glasses. ⇢ Etsy – $7. 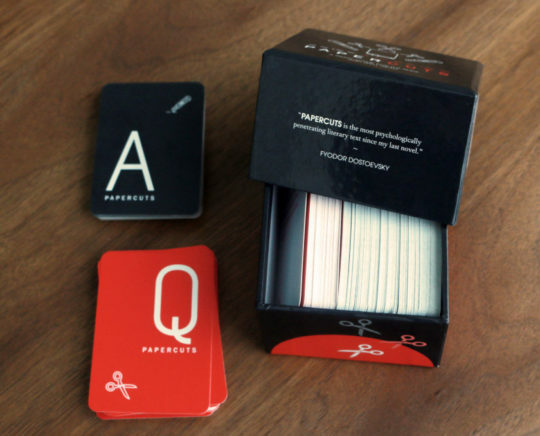 Papercuts literary game. This game from Electric Lit can be enjoyed by your dad, mom, and all their friends. It comes with 75 question cards and 175 answer cards – all about books and literature! ⇢ Etsy – $25. 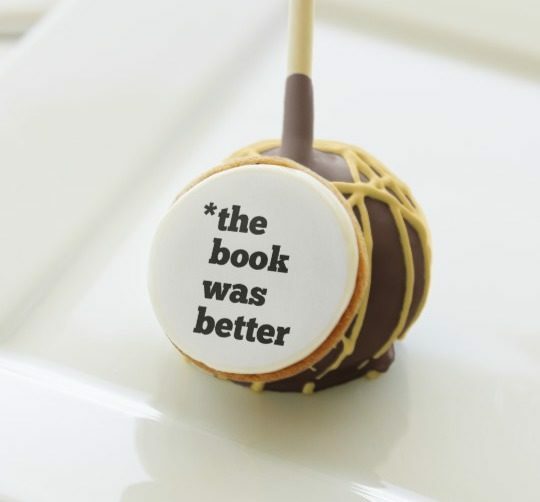 The Book Was Better cake pops. Something delicious and meaningful? Sets of twelve cake pops can come with the personalized text. We like this one very much. 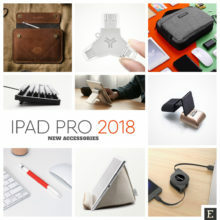 ⇢ Zazzle – $42. Vintage Books wall clock. 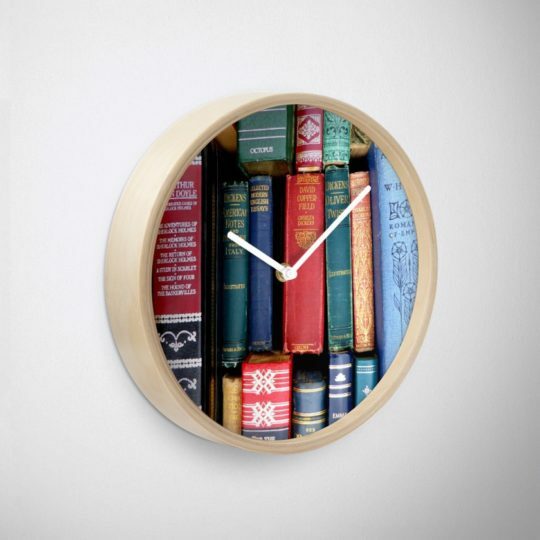 Most probably, your dad doesn’t need to be reminded to read books, but this wall clock will perfectly fit the home library. ⇢ Redbubble – $28. Headphone bookends. Is your dad halfway between books and music? 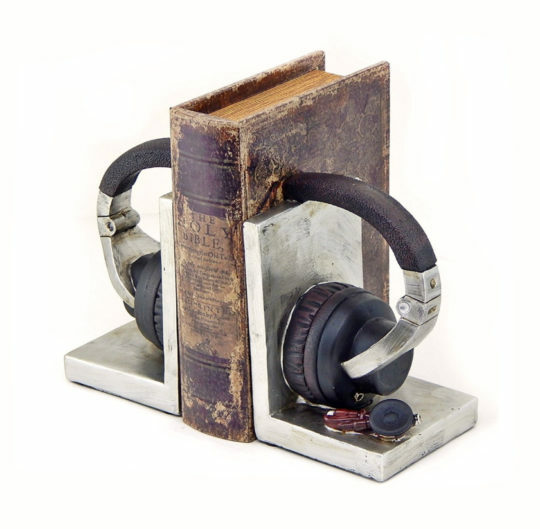 These vintage bookends are something that’s suitable to hold both the good old hardback and the good old vinyl. ⇢ Amazon – $39.99. A Midsummer Night’s Dream throw blanket. How to make dad’s reading space cozier. 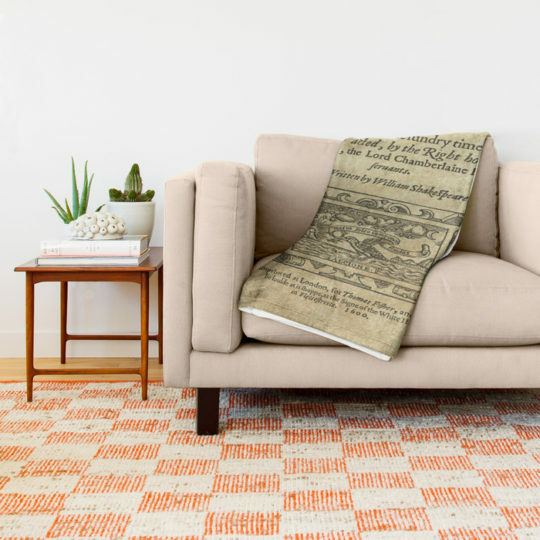 This 51 × 60 throw blanket features graphic elements of the first edition of Shakespeare’s masterpiece. ⇢ Society6 – $49. Umbra hidden bookshelf. 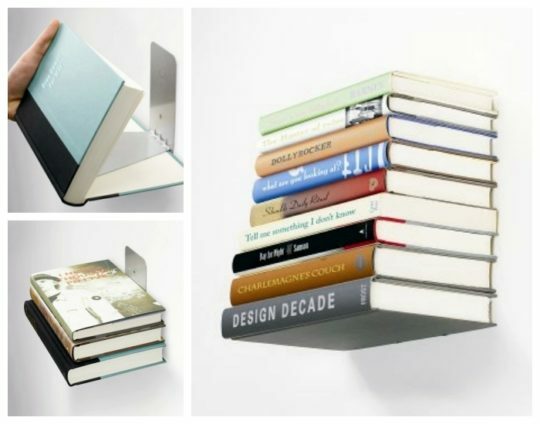 A clever, award-winning design by Miron Lior lets show a stack of books as they were floating. ⇢ Amazon – $13. 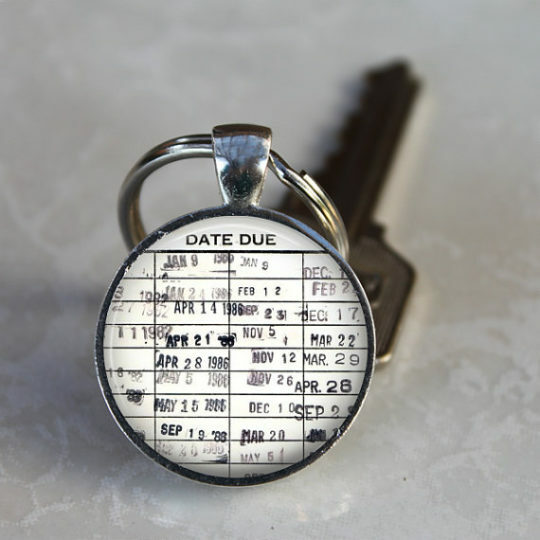 Library due date keychain. An iconic design of the library due date card is being used on hundreds of gifts. This keychain is beautifully packaged in an organza drawstring pouch. It’s perfect for gift giving! ⇢ Etsy – $9.99. 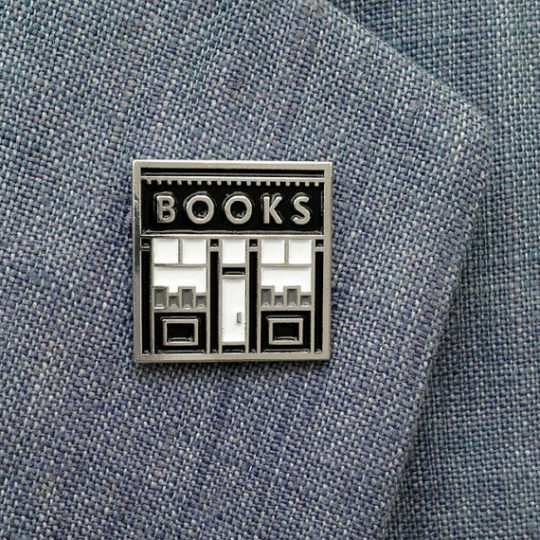 Bookshop enamel pin. This black, gray, and white pin is a little statement your dad would use not only for book club meetings. ⇢ Etsy – $10. 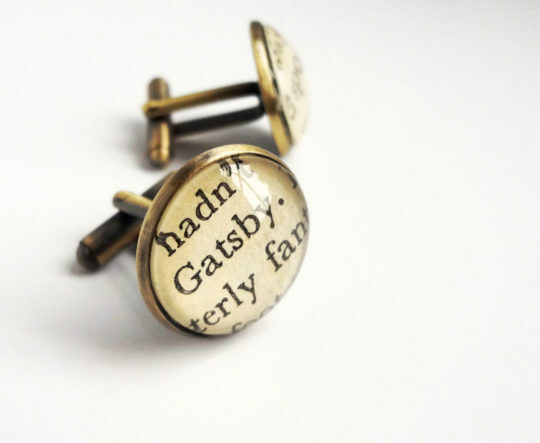 Great Gatsby cufflinks. What about personal accessories? These cufflinks from Bookity are the top choice for many. They include real pages from damaged copies of The Great Gatsby. ⇢ Etsy – $24.99. 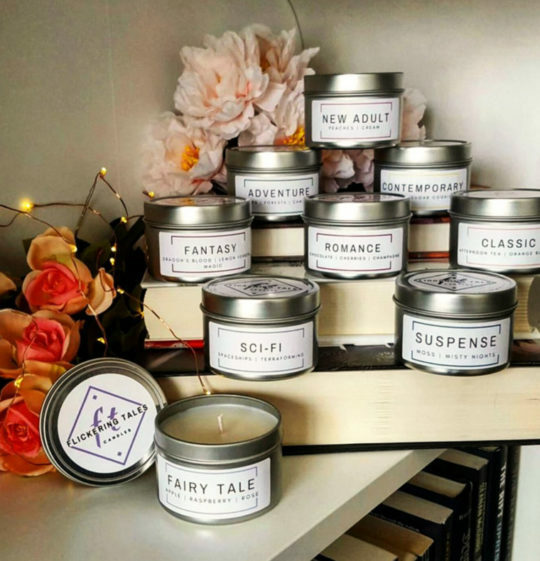 Book-inspired soy candles. These soy candles from FlickeringTales are great if you want to gift both your mom and dad. Simply, pick up the scents inspired by their favorite book genres. ⇢ Etsy – $24. 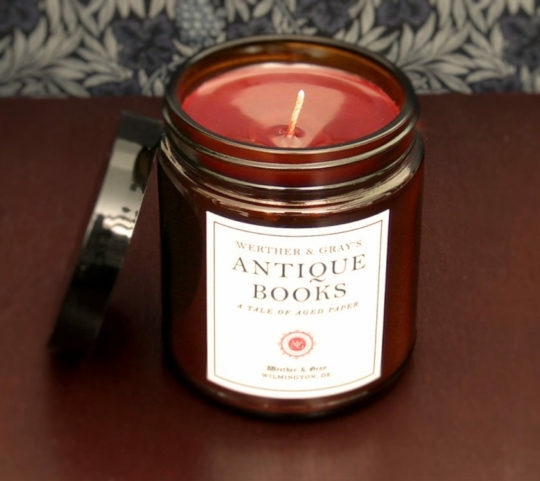 Antique Books scented candle. 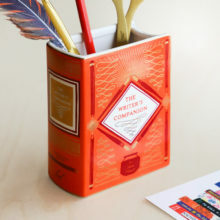 Even if your dad hasn’t switched to ebooks completely, he’ll be delighted to enhance the smell of old books with, well, with this scented candle from Werther & Gray. “Enriched with subtle atmospheric notes of must and leather, this candle is a creative interpretation of the wonderful, comforting scent of aged books.” ⇢ Amazon – $19. 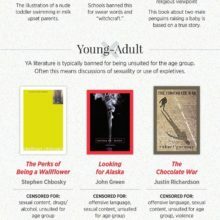 Where to buy unique literary gifts for dad? 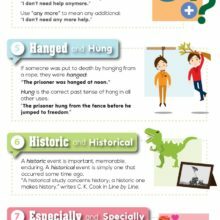 I hope you’ve found this list helpful. If not, make sure to explore these online stores. Amazon Handmade – many users find gifts for mom and dad on Amazon. When you search the entire store, you may easily get disappointed with too many items that look cheap. However, in Amazon’s sub store called Handmade, you can find goods that are beautifully hand-crafted to order and can be personalized. Not on the High Street – the site is a default online destination for gift-seeking users from the UK. If you want to find inspiration for homemade gift ideas for dad, this is the site you should check out. Zazzle – it’s one of the largest online destinations for gifts and accessories of all kinds. You can pick up an artwork and choose the item you want it on. If you prefer to use your own photo or design – you can do it! A customized gift for mom? Try Zazzle. 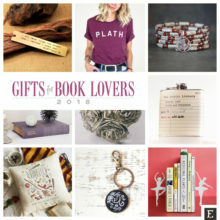 Literary Emporium – an online store dedicated to all kinds of literary gifts, one of the favorite destinations of book lovers in the UK. You can find here clothing, jewelry, personal accessories, as well as stationary & prints. 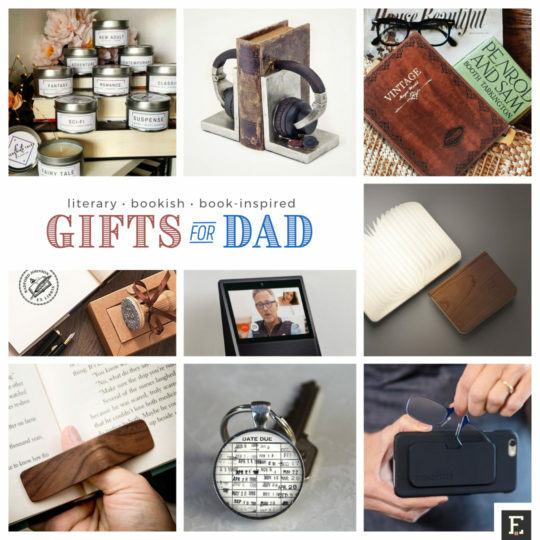 Etsy – visit Etsy and you’ll immediately realize it’s loaded with gorgeous gifts a daughter or son would love to give their dad. As all items are made to order, there are several ways to add a personal message – also for the bookish items listed above. Feel free to share this infographic on your site (Creative Commons license).